Stool has same function as chair. Both were used for seating. The only difference is where they usually used. Stool is often used to complete a bar, while the chair is usually placed in living room or other formal places. Stool common use in chess game, complete the chess table. And here comes mini stool that made of best main material. 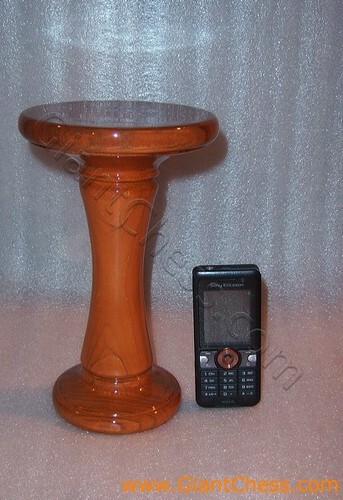 It is made of teak and polish in brown color. Strong to uphold your body. But this time it comes in mini size, so it may suitable for your children. You do not need to worry if you left it at your garden for months because it made from best quality of Teak wood. So it is very durable and high quality product.